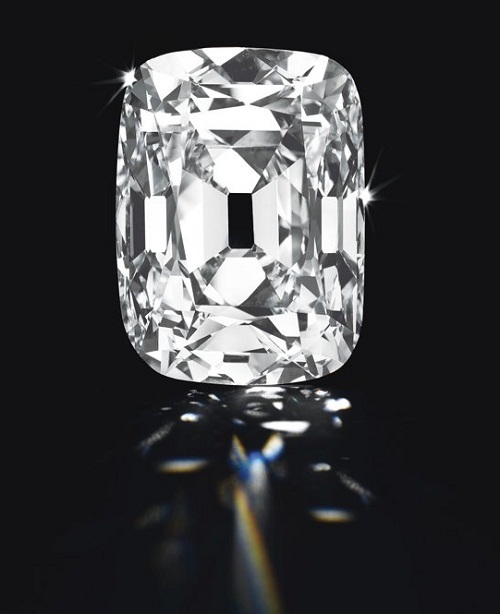 The four-hundred-year-old Archduke Joseph Diamond, which is flawless, colorless, and a whopping 76 carats goes under the hammer at Christie’s, in Geneva, on November 13, 2012. 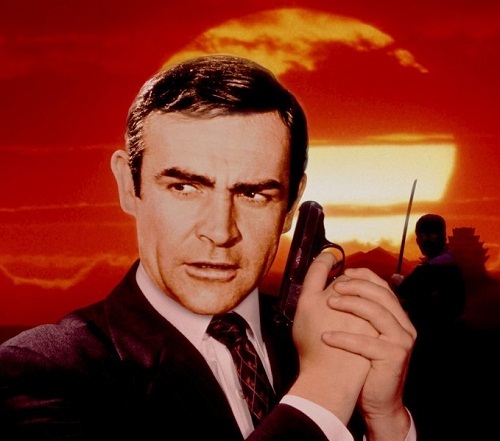 It is set to fetch more than $15million. Describing the star lot Christie’s head of jewellery, Rahul Kadakia, told ‘It’s about the size of a quail’s egg, and completely pure and clear in color.’ Although it has an estimate of $15million, experts believe the diamond will fetch a lot more, attracting buyers from the Middle East, Asia and Russia. The gem is named after its original owner Archduke Joseph August, who was the highest ranking official in the Kingdom of Hungary during the 19th century. It is believed that Archduke Joseph August passed the diamond on to his son Archduke Joseph Francis in 1933 when records show him depositing it into the vault of a Hungarian bank. An anonymous buyer purchased the stone three years later and left it in a safe during World War II, where it fortunately escaped the attention of the Nazis. Since then the diamond has changed hands privately, but the company declined to comment on the identity of the current owner. Golden dragon of buttons by Robin Protz. 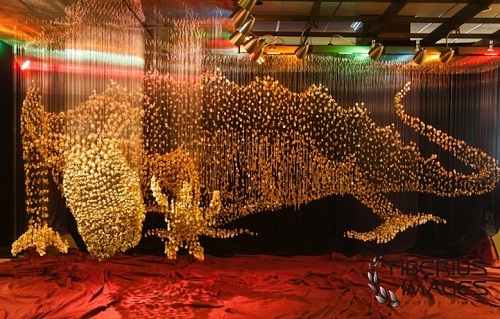 Kinetic sculpture of Nelligan the Dragon is an incredible installation of 40,000 buttons by American artist Robin Protz. She named it in memory of Maureen Nelligan, a school mate who died of leukemia at age 16. Holographic Sculpture of Nelligan the Dragon, floating in the air at hundreds of the finest threads is representing the primal forces of nature, religion and the universe. 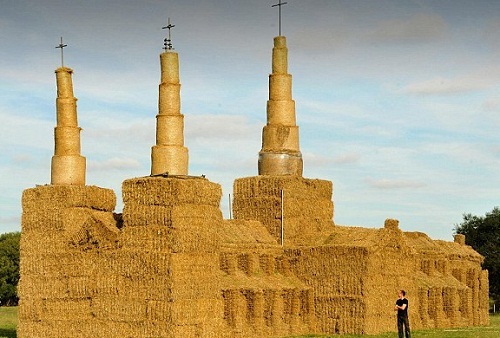 A faithful farmer has built this replica of 12th century Lichfield Cathedral out of straw near his 250-acre sheep farm in Whittington, Staffordshire. Lichfield Cathedral out of straw. A team of English farmers have built a scale model of Lichfield Cathedral – out of unusual material – straw. It took them three weeks to complete before it was unveiled yesterday. Farmer Rob Gray, 50, decided to build the replica of 12th century Lichfield Cathedral which is near his 250-acre sheep farm in Whittington, Staffordshire. The monument is exactly one fifth the size of the original – the only medieval English cathedral with three spires. French glass designer, Art Nouveau jewellery designer Rene Lalique created truly unique jewelry. 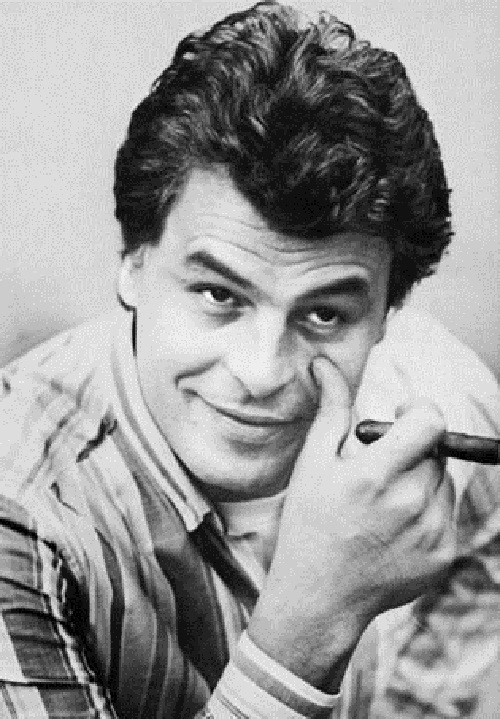 And his works were popular among royalty and celebrities. In particular, Russian Empress Alexandra Feodorovna and legendary Sarah Bernhardt, as well as fashionable Parisians and residents of other world capitals. Undoubtedly, Rene Jules Lalique was one of the leaders of the Art Nouveau style. 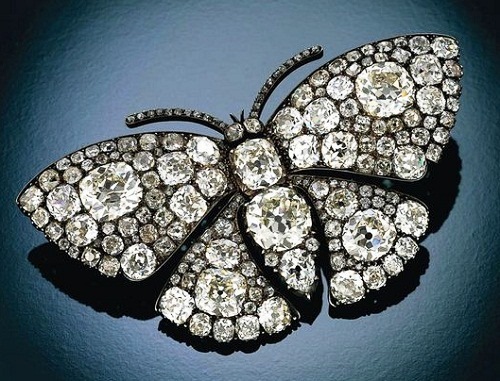 Besides, the name of Rene Lalique in the history of jewelry is in line with the names of such world-renowned artists, as Carl Faberge, Frederic Boucheron, Louis-Francois Cartier, and Louis C. Tiffany. Meanwhile, he always followed the rule of three French F «femme, faune, flore» (woman, fauna, flora), which remains the motto of the house. Talented Polish engineer Szymon Klimek combines art and engineering in his works. So far, he has created a gallery of beautiful models of the early 20th century cars, in particular, trains, steam engines and fancy carriages. But the interesting thing is that any product easily fits a regular wine glass. Miniature models are made of very thin sheets of copper and steel. While completing the work, the author gives the desired shape and fastens together the details with glue. However, the creation of miniature can take up to two months of hard work. 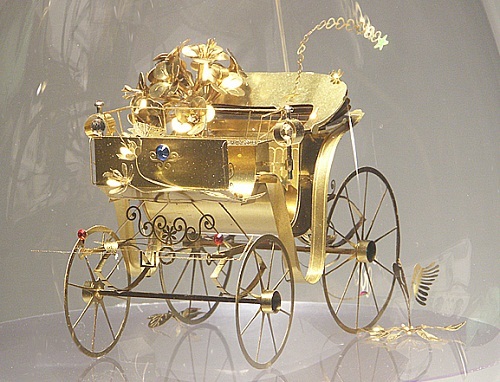 According to the master, his work is at the intersection of decorative, engineering, and jewelry. By the way, Klimek prefers to keep his miniatures in wine glasses.